Comments Off on Health is Wealth – Fighting poverty! Ebola is a rare but deadly virus that causes fever, body aches, diarrhoea and sometimes bleeding inside and outside of the body. As the virus spreads through the body, it damages the immune system and organs. Before a vaccine was rolled out in response to the situation in DR Congo, Ebola killed up to 90% of people who were infected. On August 1st, 2018, DR Congo declared its tenth outbreak of the Ebola Virus (since records began). ACT’s work in DR Congo is in the south, in Haut-Katanga province. At present, this area is Ebola-free but is experiencing socio-economic problems due to the huge numbers of displaced people in the country – (a product of seemingly never-ending conflicts). 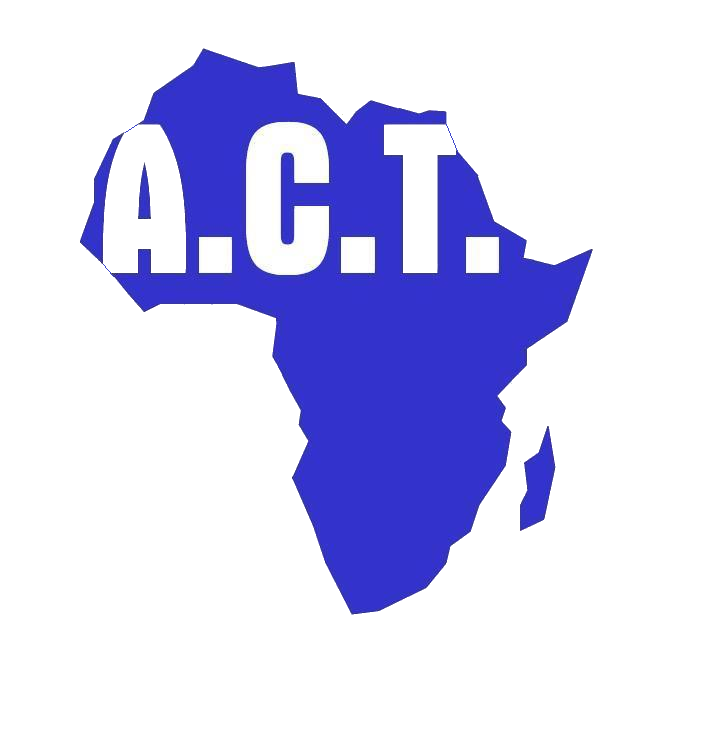 The epidemic is centred in Kivu and Ituri provinces in the north east of the country, bordering Zambia, Tanzania and Uganda, countries where ACT is working. Naturally, there is huge concern in these neighbouring countries with fear of the virus spreading to them. So far, more than 600 people have died from the disease and there have been approximately 1000 confirmed cases. It was hoped that a new trial vaccination would quickly prevent the spread of the disease, but a recent study appears to cast doubt on the efficacy of the vaccination campaign. Dr Patrick Vinck of the Department of Global Health and Population at Harvard University suggests that as many as a quarter of the population in affected areas do not even believe that the virus exists. What impact might this have on ending the epidemic and preventing its spread? There are two main factors at play (according to Dr Vinck). The first is that years of conflict have resulted in a population that does not trust the authorities. This meshes with the second factor, which is that poor governance for decades has not only added to this mistrust but also resulted in a population which does not expect anything from the government and therefore, does not look for anything it offers. When these factors are seen in the context of local insurrections and the recent elections, the disconnect between the people and those who govern them is stark, to say the least. For example, many believe that the Ebola crisis was used by the government to keep them from voting.There is also a belief amongst the local population that the vaccine will make you sick and that seeking treatment, for those showing symptoms will only result in death. Interestingly, Dr Vinck explains that this is not a wholly unreasonable belief. How to deal with the significant number of people in eastern DRC refusing to seek treatment is not entirely clear. For individuals already harbouring mistrust towards their local authorities, the disparity in the availability of the vaccine might be alarming. Initially, for many, the vaccine was seen as this miracle panacea. In reality, despite the clinical achievement of producing the drug, no thought was paid to the seemingly obvious: how you get people to take it and whether they even want to take it. This has resulted in one healthcare centre in the town ofKatwa (North Kivu) being burnt down and another in Butembo (North Kivu) being attacked twice, before finally being burnt to the ground by insurgents. These acts of unrest are tragedies in themselves, as several innocent lives have been lost. It seems the fight to stop Ebola will be a long one, fraught by conflict and strife. Ebola is spread by contact with an infected animal, and there is no way to prevent it other than to stay away from areas of outbreak. However, understanding the symptoms and being convinced that the health workers are there to help you will have a huge impact on early detection and treatment, which can halt the spread of the virus. The key factor in achieving this is education. If children and adults are taught about how to spot Ebola and to recognise that seeking treatment from their local health centre is the safest option, then many lives will be saved. At ACT, education is the cornerstone of our outreach work. Twenty years of experience supporting disadvantaged children and widows in rural communities in the 8 countries of Africa where we work, means we are familiar with the positive impact it can have on all aspects of life. Our long-standing presence in these communities, in which we have seen hundreds of children through education, from infancy to university graduates, has allowed us to become a trusted part of the communities where we operate. As this article demonstrates, building trust and maintaining good relationships with beneficiaries is important for their overall health and wellbeing. We are proud to grant healthcare insurance to ACT-supported children and their families, where possible, as part of the care we provide. Can you help to provide education and welfare support for disadvantaged children and orphans in Africa, and provide skills training for widows? Please click here to donate now.